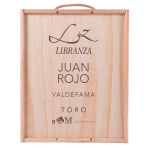 Packaged a cardboard box of 6 bottles of 75 ml, in a individual cardboard box or in wood box with a bottle and in wood box mixed with Libranza and Valdefama. 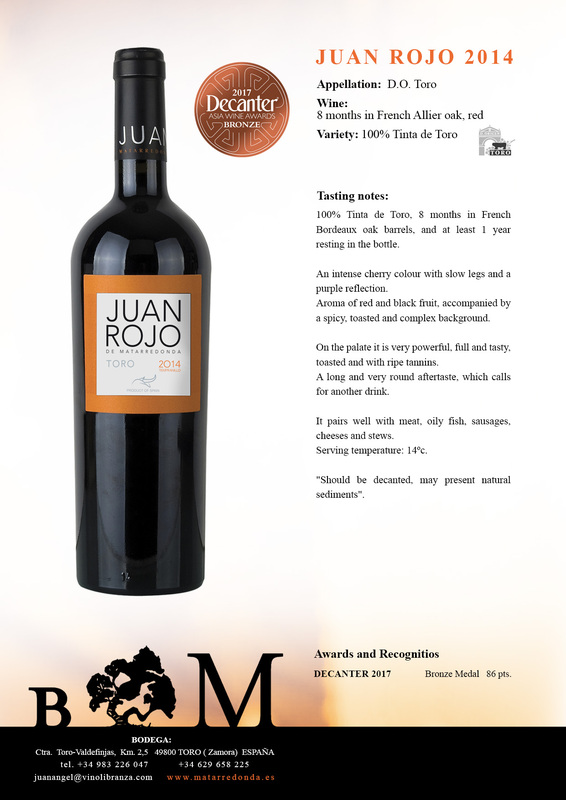 Juan Rojo 2005: ROBERT PARKER. 90 Pts. 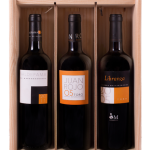 Juan Rojo 2006: 92 p. Robert Parker, 92 p. Guía Intervinos. Excelente. 92 Pts. INTERNATIONAL WINE CHALLENGE CATAVINUM. Silver Medal. VEREMA 92 Pts. Juan Rojo 2008: WINE UP GUIDE. 94,23 Pts. 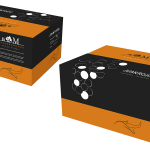 Verema 93 Pts. 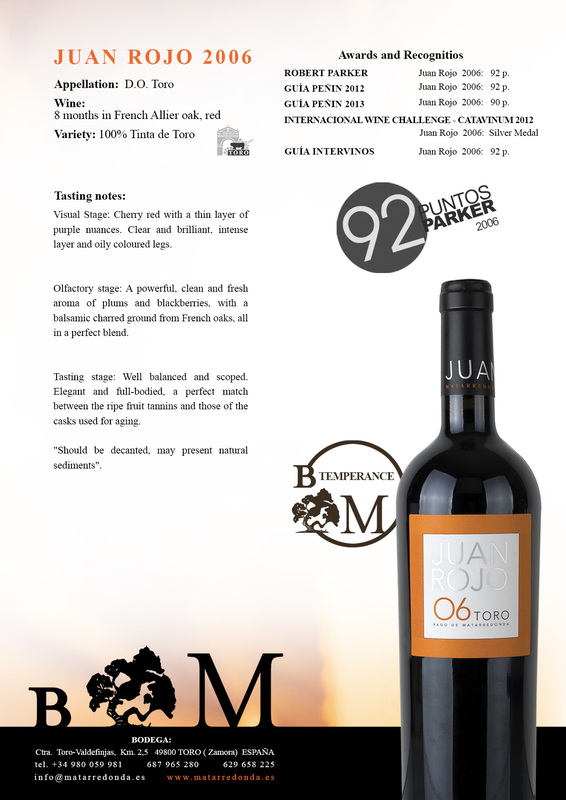 Juan Rojo 2010: 90 p. Robert Parker, 94 pts. La Semana Vitivinícola, 94 pts. Gold medal International Wine Challenge Catavinum. 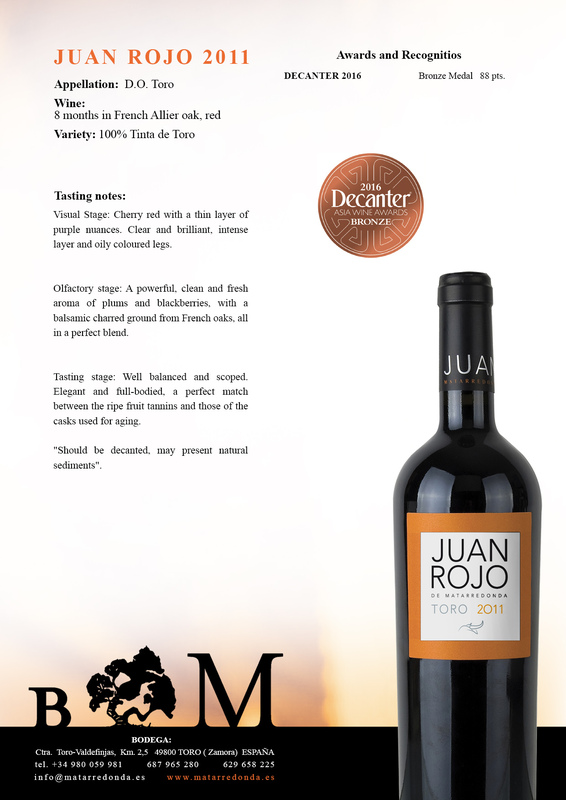 Juan Rojo 2011: BRONZE MEDAL DECANTER 2016. CATAVINUM WORLD WINE & SPIRIT COMPETITION. Gold medal. Juan Rojo 2014: INTERNATIONAL WINE AWARDS 2018- Gold Medal- 90-94 Pts. DECANTER 2017. Bronze Medal. CATAVINUM WORLD WINE & SPIRIT COMETITION. Gold Medal. GUÍA PEÑÍN. 90 Pts. 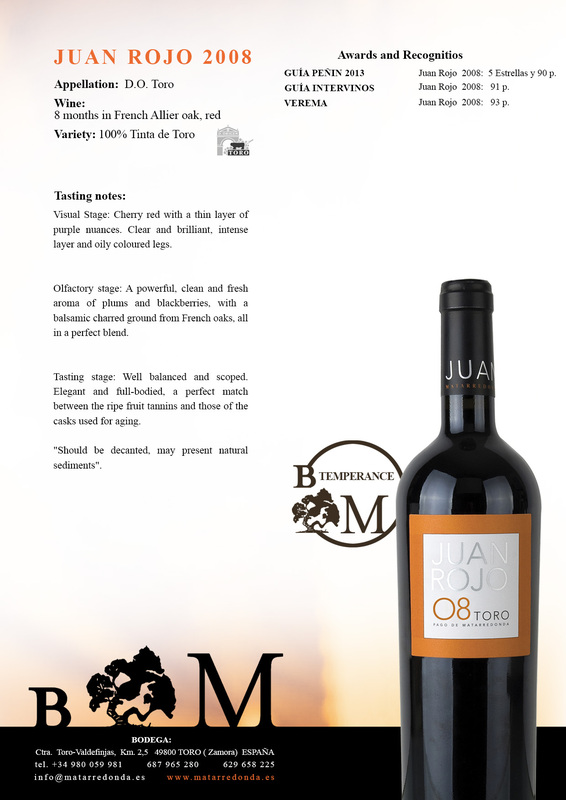 The pairing rises in intense of flavor, due to the aging in barrels are greater – 8 months – so we can enjoy with fat cheese, red meats, stews and oily fishes. It’s perfect to start the meal.